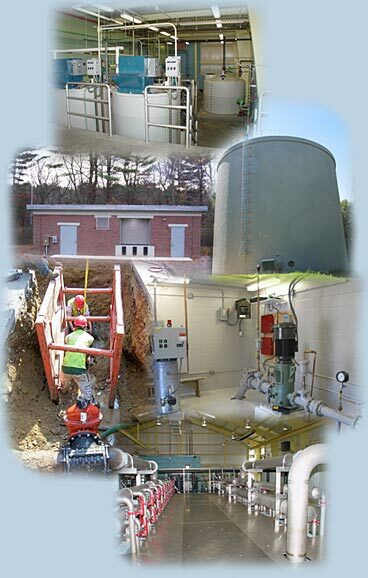 Founded in 1973, Amory Engineers provides civil and environmental engineering consulting services to clients throughout New England. Amory Engineers is dedicated to client participation, continuity of staff personnel for each client and direct supervision by its principals. We consider these three criteria essential to the success of any project. Amory Engineers offers experience and expertise in supply, treatment, storage, distribution and management of water; stormwater management facilities including drainage, retention and infiltration systems; roadway reconstruction; and dam evaluation, inspection and construction. We provide a full range of engineering services including system evaluation, master planning, facilities design, construction administration and resident inspection. Our services also include land use review and inspection services for municipal planning boards, zoning boards and conservation commissions. To expand our in-house capabilities, we have established working relationships with others in fields such as water storage tank inspection, professional land surveying, electrical engineering, instrumentation, soil borings and water- and soil-testing. We are able to furnish whatever engineering is necessary for water works advice, consultation, design and construction services. Amory Engineers announces the retirement of Walter Amory at the end of 2010, after a career of over 60 years in the civil engineering field. A registered professional engineer in ten states, Walter was a member of the Massachusetts, New England and American Water Works Associations, a past president of New England Water Works Association and author of twelve papers for water works publications. After serving in the United States Navy during World War II and the Korean War and 20 years at Metcalf and Eddy, Walter started Amory Engineers in 1973 to offer consulting services to New England clients. Amory Engineers is forever grateful for the standard of excellence and work ethic he set in guiding the company. The following is a link to a book that highlights many of the projects accomplished during Walter's tenure. Walter Amory 1973-2010.